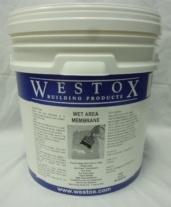 Liquid membrane specifically designed for showers, bathrooms, balconies and flat roof areas. Applied prior to tiling. 500ml per m2 (600 micro WFT). Two coats. 2nd coat should not be less than 600 microns DFT.